Apologetics/Worldview – Ronnie W. Rogers, "Taking every thought captive…"
This passage gives insight into the very nature of the gospel encounter. We see the genuine offer of the gospel, and the need and urgency to accept it, which the listeners can do; or they can reject it with full knowledge and remain in their sin. Upon Whom Shall We Exercise Church Discipline? I remember the first time we implemented church discipline in my former church. It was the greatest spiritual challenge the church had faced. The process took over a year, and it ended with a young lady having to be removed and others leaving because of her removal. 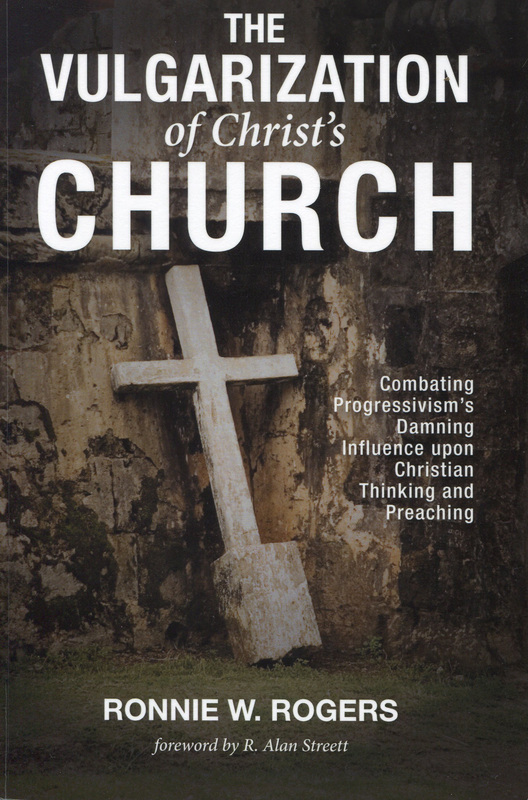 The Vulgarization of Christ’s Church seeks to clarify and demonstrate the incalculable and injurious influence that progressive education has had and is having upon preaching, thinking Christianly, and the local church. Progressive education began at the turn of the twentieth century, replacing classical education with what is purportedly a science-based education, which necessarily results in scientism. This seismic shift in public education has not only affected what we learn but how we think. In order to enable the church to detect progressivism’s deleterious sway and protect herself by being equipped with the progressive revelation of God, and thereby counter the influence of progressive education of man, I seek to highlight some of the underlying intolerable essentials of progressive education. My major concern regarding progressive education is that the vast majority of Christians can be or are unknowingly facilitating the very philosophy of education and thinking in the church that will ultimately cause Christianity to be regarded as the scourge of modern society, which will immeasurably complicate the task of evangelism and discipleship. In the companion book to this one, The Equipping Church: Somewhere Between Fundamentalism and Fluff, I explain the biblical model for the local church and how to build such a church. Copies are available from the publisher at wipfandstock.com and amazon.com as well as the author, ronnie@trinitynorman.org.